The former head of the Petroleum Facilities Guards (PFG), Ibrahim Jadhran accused the Dignity Operation forces of conducting a systematic and deliberate ethnic cleansing campaign against the Tabu community in the south. 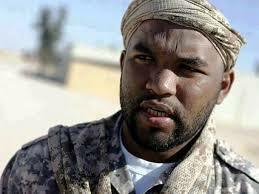 In an audio recording, Jadhran said that he stands with the people of the South of various social and political backgrounds, especially the Tabu, who refuse to turn back the clock to the military rule era, according to his say. He also counted the standing on neutral ground, in respect to violations against the component of the Tabu by the gangs and mercenaries coming from abroad, treason against the nation, as he put it.